What is new for Rechargeable hearing aids in 2017? All of the hearing aid brands seem to be driving forward with rechargeable! I spoke about Phonak rechargeable hearing aids last time, in this article I would like to look at what is happening in 2017 for these popular devices. It was reported on Hearing Aid Know in What's New For Rechargeable Hearing Aids? 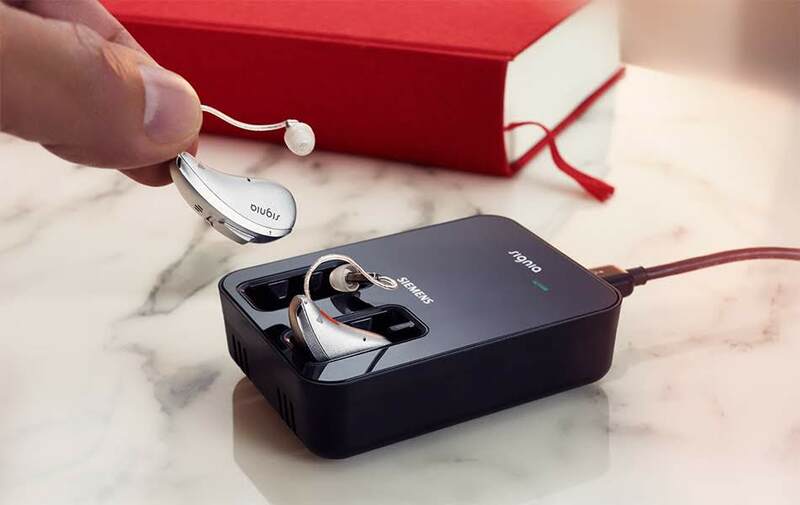 That at least two more hearing aid brands have announced the introduction of their own rechargeable hearing aids recently. That will bring the number of brands with modern type rechargeables to four. Let's take a look at what you can expect to see this year. As always If you would like to talk to me about hearing aids, hearing loss or hearing care, don't hesitate to call on 0800 1 69 68 62 or book an appointment online now. 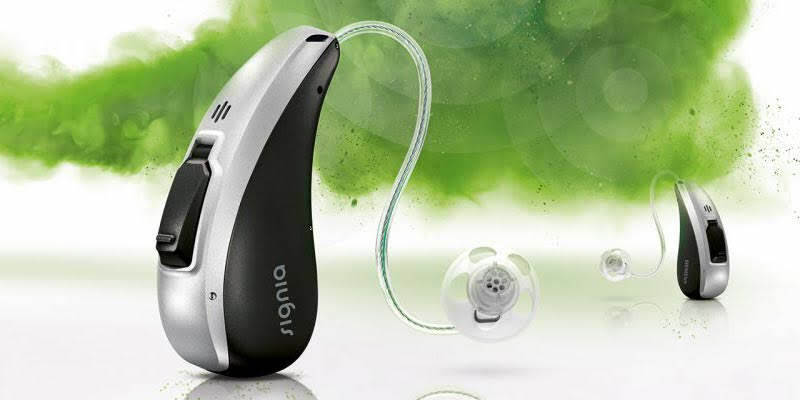 In the original article they said that both Starkey and Unitron had announced the introduction of new rechargeable hearing products for this year. Before I get to them, let's cover what is available. I have already spoken about the Belong R and the Audeo Belong Range. But it is worth giving a quick run down here. As we know, it was the first of the Lithium-ion devices to be released. It is a Receiver in Canal device and it is part of a new platform which came with an upgraded operating system, the latest version of Phonak's SoundRecover2 and new microphones and programme buttons. The range uses the existing Venture chipset and while the Audeo Belong range is available in four technology levels, the 90, the 70, the 50 and the 30. The rechargeable option is not available in the lowest 30 level of technology. Signia, which is the brand name that has taken over from Siemens Hearing, quickly followed Phonak with their own offering which they called Cellion™ primax™ hearing aids. Siemens have always had a rechargeable option in their hearing aid line-ups. The Cellion is however, the first with Lithium-ion to power them. The devices have been designed to be smart, they turn off when dropped into the charger and turn on automatically when they are taken out again. Signia say that the rechargeable lithium-ion power cell lasts 24 hours with unlimited audio streaming. They are the only manufacturer to say this. The Cellion is also Receiver in Canal hearing aid as it seems are all of the new offerings to come from others. It can be used with a variety of receivers which will allow them to cover hearing losses from mild to profound. Signia have three levels of technology the hearing aids are available in all three levels of technology, the 7, the 5 and the 3. According to Hearing Aid Know, Starkey have also just announced their own rechargeable hearing aid offering that will be launched late this month (February). I don't know and they seem unclear whether it will be available in the UK then. I will keep this article updated though. The device will be The Muse™ micro RIC 312t R, it is based on one of the styles available on Starkey’s® Muse “made for music” hearing aid platform. This isn't powered by a Lithium-ion power pack and nor is the power pack integrated. 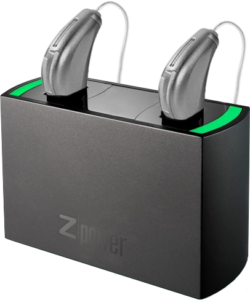 The power pack is actually ZPower’s (an American hearing aid battery company) silver-zinc battery technology. Silver-Zinc will give at the very least 24 hours of use. Going with this option will also allow users to switch to normal disposable batteries if they need to. The Muse micro RIC 312t R will be available in the full three levels of technology that Starkey offer, that is the i2400, i2000 and the i1600. They also reported that Unitron had tweeted in early February that if people were attending the JDVAC convention that they should stop by and take a look at their new rechargeable Moxi Fit-R. This was the first mention from Unitron of a rechargeable hearing aid device. They also later mentioned on Linkedin that the Moxi Fit-R would be the smallest rechargeable hearing aid ever. Going to #JDVAC 2017 Convention? Stop by the Unitron booth, and be among the first to preview Moxi™ Fit R, a revolutionary rechargeable. Again, as more information becomes available I will update the article, we shouldn't have long to wait, the rumour is that the official announcement will be with us on the 21st of February. Widex have talked about a new power source for hearing aids called Fuel Cells for years, however, they have never been able to bring them to market. It will be interesting to see if Widex go down the rechargeable route this year. If they do in fact get their Fuel Cell tech to work, I would expect them to deliver that. It really is different than any other technology and would set them as leaders in the space. We will have to wait and see how this plays out for them. GN Resound Rechargeable Hearing Aids? Will Resound go rechargeable in 2017? I think the answer here will most probably be yes. 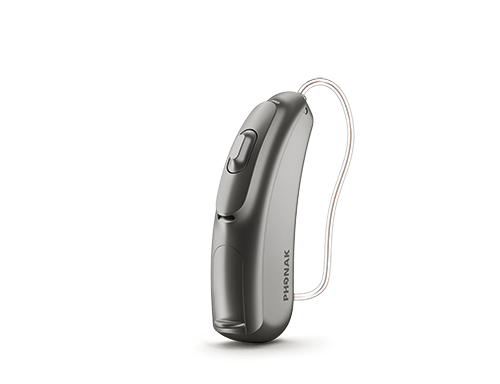 The ability to make Resound hearing aids rechargeable is already available. ZPower offer an after market add on to do just that. So for Resound to partner with them and integrate the tech will not be a difficult task. I think rechargeable will be just one of the innovations that GN Resound will introduce this year. Oticon have just come of a new product cycle, one that was started just before the explosion of rechargeable onto the scene. However, the rechargeable option is just so popular right now it would make perfect sense for them to be looking at introducing an option. There has been no hints from them so far, but if we hear anything, we will tell you. In essence rechargeable hearing aids have proven so popular that it would be lunacy for any hearing aid manufacturer to ignore them. So I think it will just be a matter of time before all of the brands offer at least one rechargeable option. If you would like to talk to me about rechargeable hearing aids, hearing loss or hearing care, give me a call on 0800 1 69 68 62 or book an appointment online now.